Meet the residents of Nightingale housing. Learn about their lives, what community means to them and why they chose to join the Nightingale family. 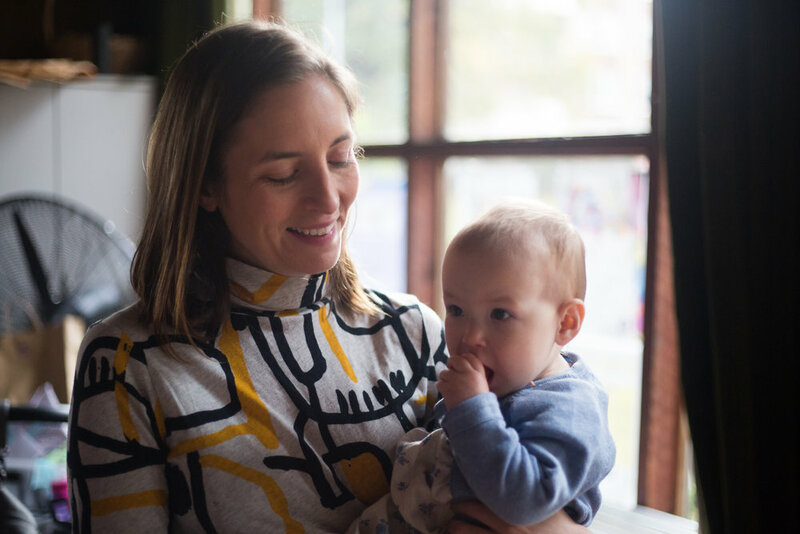 Meet Alexandra, part of the Skye House community and the first official Nightingale Village Resident. Alexandra was lucky enough to be allocated one of the most coveted Teilhaus apartments in Skye House! How did you hear about Nightingale Housing and what aspect of the model most captured your attention? I first heard about The Commons through friends in about 2014. I’ve been following Nightingale’s activity ever since. I’m especially interested in environmental accountability and the community aspects of the model. Can you shed some light on your balloting experience, what are your top tips for other thinking about entering a Nightingale Housing ballot? From the time the initial purchaser package was released, I began considering each available apartment that was within my financial range. I’m quite a visual person, so about a week before the ballot I printed out all the floor plans and laid them out on my living room floor. I imagined the pros and cons, the layout, the feeling of each apartment, how I’d use the space – and decorate it, even. I really tried to put myself in each space and be as honest with myself as I could about financial and lifestyle considerations. Through all this I tried to remain pragmatic about whether or not I’d get an apartment because I had no idea of my chances – and there are other buildings I could ballot for, so it wouldn’t be the end of the world if it didn’t happen. Then I ranked my top 8 apartments and submitted my form! You will be one of the first people to live in a Teilhaus apartment, what drove your decision to ballot for a micro-apartment and how does it differ from your present living situation? This Teilhaus apartment was my first choice. It is small, perfectly formed and up high – and my apartment has a big terrace, which makes it extra special. Even though the building is packed with great apartments, a Teilhaus was the best option as I don’t earn heaps of money and, especially as a woman in my 40s, I can’t afford to be saddled with a lot of debt. With a small apartment I’ll have the flexibility to own a home (my first; maybe my only!) and live a full life – something I was never sure could be an option. Do you currently own a car and if so, how do you think moving to a precinct focusing on alternate modes of transport will positively impact your lifestyle? I currently own a car, but when I move into Skye House, I’ll be car-free. I mostly get around by bike and public transport, so owning a car is a bit of an unnecessary (and expensive!) luxury. Once I move in to my new home at Skye House, I’ll make use of the convenient onsite car share hub. Through the design and construction of your home you will begin to meet other residents, how do you anticipate this will affect the sense of connection within the Skye House community? The Nightingale team facilitated a Skye House meet up in December, so I’ve met the other residents and chatted with most of my neighbours on my floor. Everyone’s really engaged with the process and I’m really looking forward to being involved. The meet up means a lot because I already feel part of the community. What are your thoughts on the inclusion of community housing in Nightingale Village? I strongly support the inclusion of community housing in any building project. It’s really important to me that the mission to increase medium density housing ensures accessibility to a really diverse range of people. Your new home, Skye House, is located on Duckett Street in Nightingale Village, what aspects of Village life are you most looking forward to? This is something I haven’t considered in much detail. Until now, my focus has been on getting in to the village! I enjoy following the Instagram life of Nightingale 1, and I’ll be excited to see how Nightingale Village can build an extended community across seven buildings. Meet Marcelo, Nightingale 2’s latest resident! I’m Marcelo Cummins, ironically a rebellious technically minded problem-solver (engineer) son of two bohemian artists who met while travelling and got married in Greece. My mother is from Argentina (hence the Marcelo) and father from Australia (hence the Cummins and me growing up here). I work for a global wind turbine manufacturer covering product growth and strategy for Asia. I’ve been passionate about renewables since adopting lefty/greeny values from my Latin American mother, growing up and have spent time in research (Uni Melbourne) and volunteering with Beyond Zero Emissions before joining Industry 6 years ago. How did you hear about Nightingale Housing and what most captured your attention about the model? 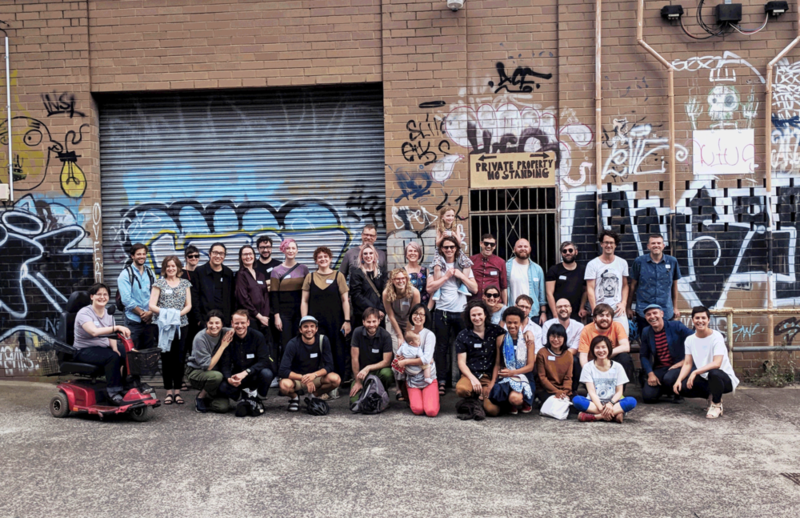 I had not come across the themes of intentional communities until doing the Centre for Sustainability Leadership (CSL) fellowship in 2017, where I was exposed to common ground, urban coup and Nightingale via the course General Manager Alesha Younghusband (part of urban coup). What is your current living situation and why have you decided to make a change? I’ve moved quite a bit in the last 13 years living with various folks (a la share housing etc) and realised in the last 12 months that I really wanted to build a space for myself for emotional, physical and mental peace. I started looking for apartments throughout 2018 and am thrilled to nab a place in NG 2.0, very lucky. Nightingale 2.0 is located directly on the Hurstbridge train line and in the centre of Fairfield Village. How do you anticipate this will affect your transport and shopping patterns? Being an engineer, what popped out of my monster spreadsheet in the initial phases of brainstorming as a key criteria was to be within 5mins walk to stuff I need. Stuff I need looks like public transport (not owning a car), food, fitness (gym/yoga) etc, so I’m very satisfied that I’ll be able to meet many of needs on foot. Nightingale buildings are delivered through the work of a specialised and multidisciplinary team. As a future resident, you have the opportunity to engage with Six Degrees Architects and HIP V. HYPE. Can you describe how your interaction with each of these key team members has enhanced your purchaser journey? The purchaser journey has felt supportive, without pressure or tension and certainly working with people who are very dedicated to the vision and share the same values with me. As a first home buyer, its been a real treat to have that more friendly engagement to get comfortable with my purchase. The team from Atelier Projects are leading the build of Nightingale 2.0 and resident site walks have commenced. Are you excited to be part of the construction process? It’s exciting for sure to be able to watch the building sprout of the ground and see it grow each month and feel it’s becoming a ‘real thing’. The monthly site walks will make the wait until settlement more bearable and increase the engagement (and understanding) in the property development process, YAY! at learning new stuff. Through the construction of your home you will begin to meet other future residents, how do you anticipate this will affect the sense of connection and community at Nightingale 2.0? I think it will reduce wobbles of adjusting to a new place which will help settling in and feeling at ‘home’. I’m very curious to meet everyone and see how our values overlap (and where they don’t) to find connection with more like-minded people to share in tackling the problems we humans face in the world today. 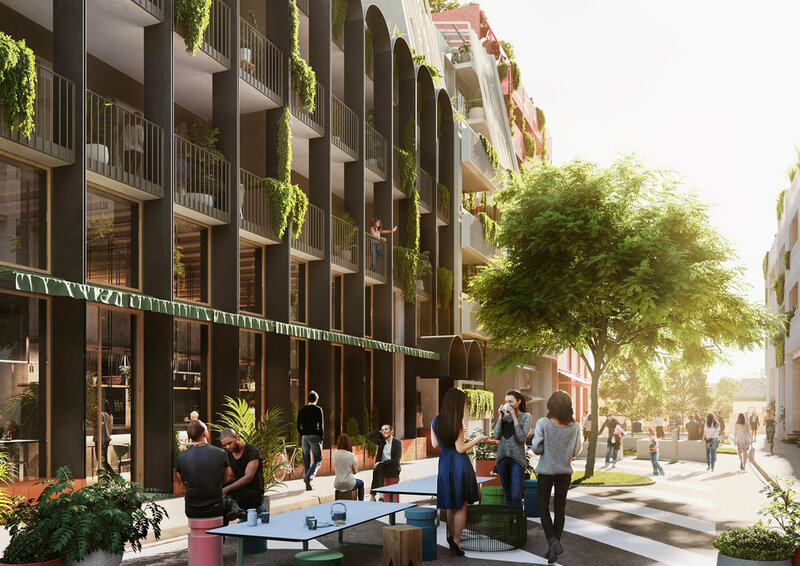 Working collaboratively, Six Degrees Architects and the Sustainability team at HIP V. HYPE, have achieved an average NatHERS rating of 8.6 stars at Nightingale 2.0. Why is living in an environmentally sustainable building important to you? From a measurable personal impact it’s great to reduce my footprint and use less resources in how I live. From a living my values perspective I think it will give me a boost in motivation to recognise daily my passion for environmental sustainability and have that reinforcement from the space I live in. I am confident that in a wider societal context the extended family/friends and community that will come to visit me will have the seed planted re: how they can do things differently in how they live and how we need to de-carbonise in different scales of the economy (bigger than the individual). I’m pumped in general to continue to deepen my ‘living my values’ and be an example to those within my sphere of influence on how to live green. Why did you decide to purchase a nightingale Housing apartment? We were renting in The Commons and loved it so much that we wanted the security of owning one of our own. Until we learned about The Nightingale model we didn't think home ownership was a possibility for us. What is life like in NG1, is it what you expected? Having lived at The Commons, we already had a pretty good idea of what living at NG1 would be like. The most wonderful part was that we knew everyone well before moving in through meetings and site visits we had along the way. It was pretty great to move into a place where you could say hello to people on day 1. How does living in a conscious community positively affect your life? This might sound far fetched, but living in a community like NG has a great impact on our mental health. Living in a place that's beautifully designed, where you feel safe, where your neighbours are friends and are courteous, really makes coming home from work and weekends like living in a sanctuary. I've lived in multi residential apartments before where you don't know a soul, everything is white and starting to fall apart from a bad build and you end up dreading coming home. Surely, that's no way to live. Emma & Oran, can you tell us why you decided to ballot for and purchase a Nightingale apartment? We were introduced to the Nightingale model years ago and were super excited by the prospect of our first home actually being an apartment that was designed and built with consideration for the end user. The other major drawcard was social aspect; we’d lived in apartment buildings before where you either never saw your neighbours (there were no communal spaces) or when you did see them they would shut down, like a machine. The prospect of knowing and getting to know all of the people in the building by name and the bonus of being able to call on someone if you ever needed was very appealing. Life at NG1 is what we expected (but we had high expectations!) The apartments are incredibly comfortable spaces to the point that we’ve turned into real homebodies. Our community has already grown, with new plants, veggies, puppies (and even babies!) and it’s been fantastic to be a part of this. You’re living the dream when you can pop downstairs for dinner and wine on a Saturday night with your dog, then Uber-lift back up to get home. "it all boils down to wanting to create a home rather than a temporary place to live. 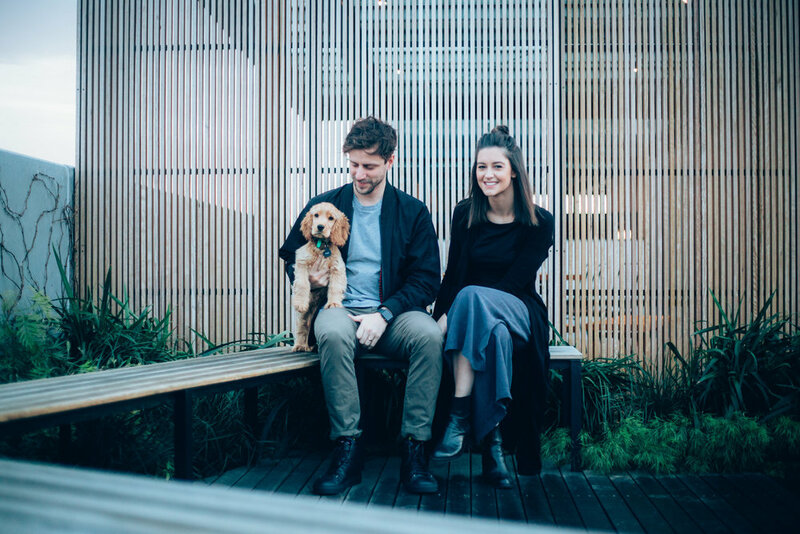 Having supportive friends and neighbours around you, with like-minded values, contributes enormously to a sense of place, and in turn, your quality of life"
What are your thoughts on living in a pet friendly building, how does this positively affect your life? It’s early days for our puppy, Raff, settling in to Nightingale 1.0, but he’s already very happy to waltz into our neighbours apartments to say hello! He’s also a huge fan of HomeOne downstairs (we’re sure this has nothing to do with the homemade dog treats). We’re trying really hard to integrate him into all aspects of our life and the support of the neighbours definitely makes a huge difference. The combination of him being familiar with the residents and being able to wander around the halls, rooftop and café downstairs has meant that he’s comfortable being left alone, or more than happy when one of the neighbours drops by for a cuddle. Not everybody in the building is a dog person (we assume), so obviously there are rules in place to ensure that our pets don’t impact on the day to day lives of others. All of the conversations around how to navigate a pet friendly building have been part of an open discussion and are evolving as we learn more about each other and more about the building we live in. We’ve always been environmentally conscious people, but we’re certainly more conscious of the little decisions we make throughout the day since moving here, both from an environmental perspective, but also a socially sustainable perspective. I think it all boils down to wanting to create a home rather than a temporary place to live - having supportive friends and neighbours around you, with like-minded values, contributes enormously to a sense of place, and in turn, your quality of life. Our home has become part of how we define ourselves.